Evaline Stoker and Mina Holmes never meant to get into the family business. But when you’re the sister of Bram and the niece of Sherlock, vampire hunting and mystery solving are in your blood. And when two society girls go missing, there’s no one more qualified to investigate. First of all, I loved Dracula and I've enjoyed every Arthur Conan Doyle story that I've read so you can see why this book really peaked my interest. 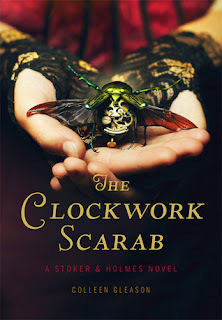 Author Colleen Gleason did a great job in capturing the essence of the works of Bram Stoker and Doyle; you really felt that the characters and situations she created could have appeared in either one of their works. I also really loved what strong and interesting characters Evaline and Mina were! 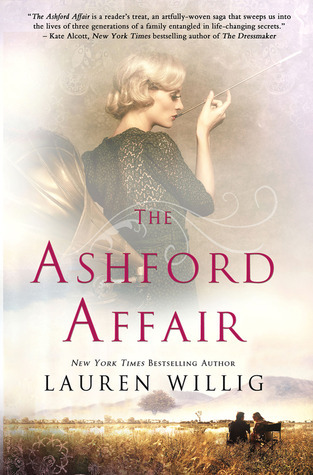 This is being called the first in the Stoker & Holmes series so I really hope that there will be more novels capturing the adventures of these two! Lots of fun, full of mystery, adventure, and romance, this is a great read for teen fiction fans! Absolutely recommending this to my daughter (the precocious 12 year old not the conservative 14 year old). Thanks for the review. Such a fun book! I hope she likes it! "I am sometimes afraid that I will not know the feeling again, that I will never again know what it is to be a dog among dogs....Since the change, I have been alone with thoughts I do not want." "Take no heed of her...She reads a lot of books." Talking Books With Simi Sara! Samantha has read 0 books toward her goal of 130 books. "It takes courage to grow up and become who you really are."